Got this guy last week from Perfect Predators. I was really impressed with shipping as I live in Northern Minnesota and it’s extremely cold yet he arrived warm and healthy. He has already eaten for me and is doing fantastic! Finished his enclosure today except they forgot to send the water bowl so I’m using a Rubbermaid container. I’m pretty happy with how it turned out Also I’m aware I’ll have to change things over time to accommodate his size. Umm, did you notice that there is a human skull in the enclosure??? 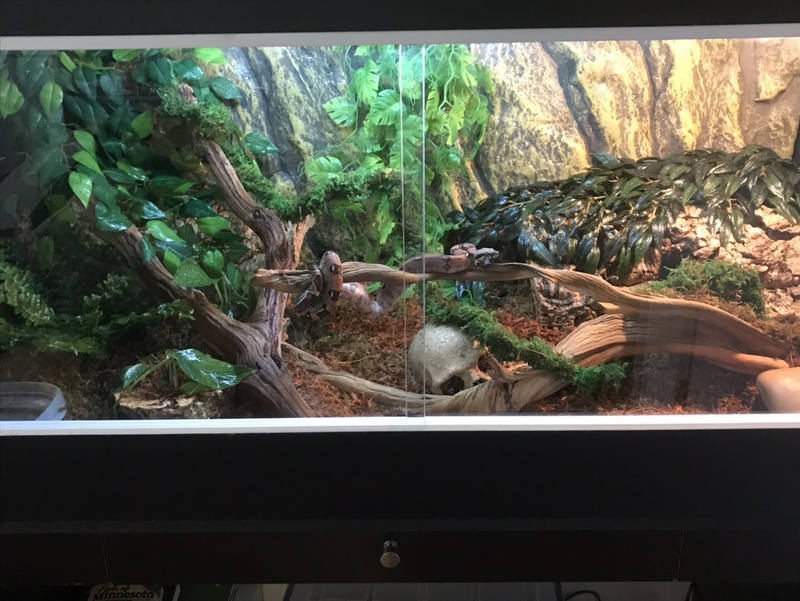 Beautiful new addition and love the enclosure and the skull...I am a Halloween/skeleton & skull fan. Just be sure you remove the skull when he starts getting thick enough to get stuck in the openings. It is no fun trying to get a snake unstuck and that can also cause injury. 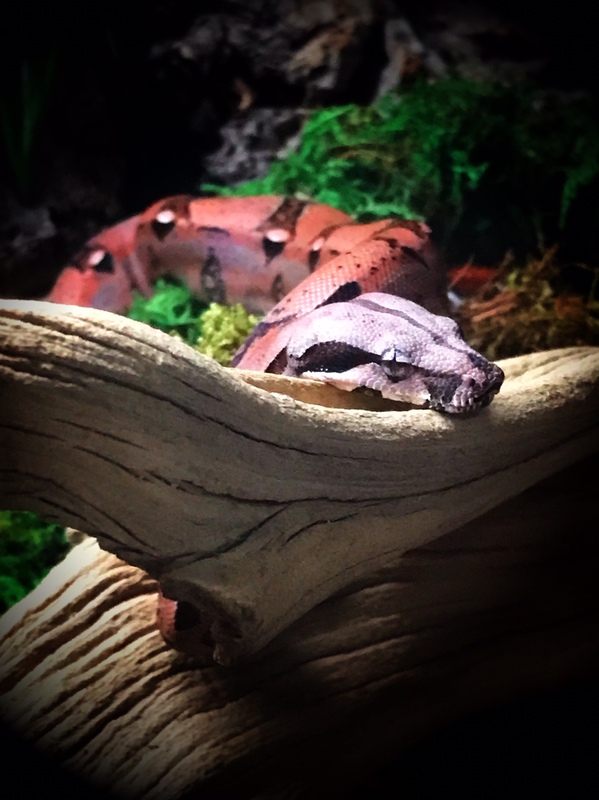 As for outgrowing the enclosure, boas shouldn’t be fed heavily, slower growth for them is better for optimal health. They grow pretty quickly early on, but you should get plenty of use out of that setup. The skull is packed full of moss It’s purely for decoration. Now I wish I had thought of that when I had a fake skull in one of my cages. Mine was used as an extra hide. Stunning snake, gorgeous enclosure. Thanks for sharing and congratulations!